Anzac day: it’s complicated. | Where's Zoe now? Yesterday was Anzac day, and like most Australian public holidays it’s interesting to explain to people here. It seems the explanation has to either be very short, or very long. And then we get to Anzac day. It comes up every year here in Italy, since here April 25 is a public holiday, to commemorate liberation from fascism. “Oh hey, it’s a public holiday in Australia too!” I say. 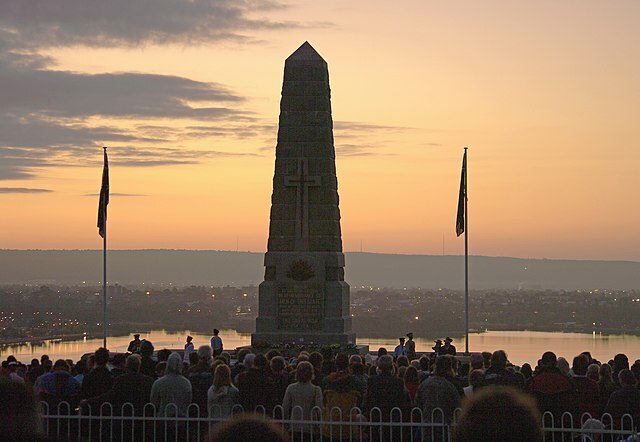 “Anzac day. It’s our war memorial day.” But gosh that feels oversimplified. On the one hand, Anzac day feels subversive, making a national holiday on the anniversary of a badly-planned landing in which the Australian and New Zealand forces got trounced. And I think that’s healthy for a country to remember: war has costs, even when things go “well” people die, and things don’t go well very often. This is the part that I like to explain to people. I’d be skipping over the rhetoric and mythology and something that looks an awful lot like patriotism-as-national-religion — politicians invoking the “Anzac spirit” in service of whatever they’re promoting that day, stories about “the coming of age of the nation”, the Anzac day dawn service as a kind of sacred ritual. And that’s where it gets hard to explain. But part of the difficulty is that the mythology has a pull on me, too. Part of me wants to believe that things did fundamentally change after WW1 and Australia joining in the Iraq invasion was, somehow, different. Part of me feels guilty for not doing anything to commemorate Anzac day here in Italy, as if “lest we forget” were a moral obligation on me as an Australian. For all that I cringe about Anzac day in Australia, I kinda miss it. So, in the end, I muddle along. I suppose every historical commemoration is a bit murky beneath the surface, because history doesn’t consist of Our Country (The Good Guys) Nobly Defeating Their Country (The Bad Guys). And there’s always a short explanation to use when you just want to say why a day is a public holiday, without making a full examination of your country’s spirit. PS: Better writing on Anzac day than I’ll ever produce: Lest We Remember (illustrated!) and a very good essay hidden behind a less-good title: Anzac Day should be quarantined from politicians. Hah, yeah, I can see the potential for awkwardness there! Haha, thank-you for this. Very well put!